10-G, Jalan Medan Setia 2, Damansara Heights, 50490 Kuala Lumpur. 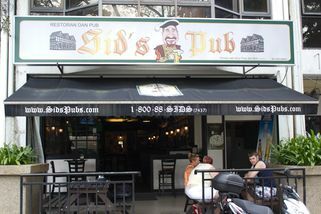 Part of the Sid's Pub chain. From Phileo Damansara 1, take up Sprint Highway to Bangsar. When you pass by Victoria Station on your left, drive further up to Medan Damansara. Turn left and drive straight until you reach a small roundabout. Take Jalan Medan and drive furtehr up. Turn left when reach the end of the road and the pub is on your right. 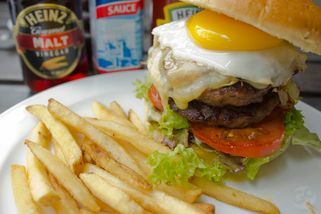 Sid’s brings their unique brand of unpretentious British pub hospitality to one of the most affluent neighbourhoods in KL. 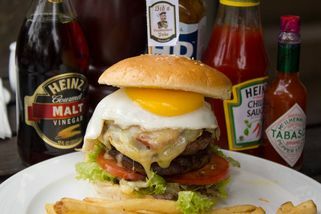 Here, customers can enjoy good hearty food and drinks served in a warm and welcoming atmosphere. The management also strongly believes in being involved in community projects and events. There are four outlets at time of writing, all done up in similar style, with half-timbered walls, old style furniture and lots of interesting decorations on the walls. The Damansara Heights outlet has both inside and outside seating areas and free wifi service. 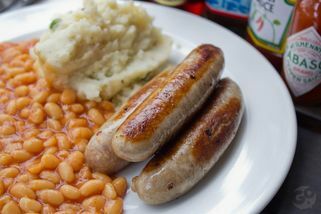 Savour such British pub delicacies as Green Pea & Ham Soup, Ploughman’s Lunch, Chicken Tikka Masala, and A Scrum of Bangers (sausages). Other signature dishes are the Ben Nevis Burger and Pigs in Blankets. A full Sunday Roast is available on Sundays from lunchtime onwards. "Authentic, tasty, quick and lots of..."
Authentic, tasty, quick and lots of it. plenty of choice and all washed down with a great pint. Get there early to get a table and spend all evening soaking up the atmosphere. Whenever we visit Sid's Pubs, it's guaranteed that we will have plenty of laughters and hours of fun. 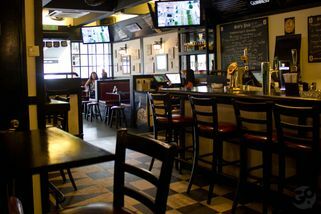 Thanks to the friendly staff, cheerful atmosphere and straight up hearty pub food they have to offer. Of course, reasonably priced drinks too but let's just talk about the food for now. One of my favourite things to order is the blue cheese mushrooms. Swimming in abundance of creamy sauce with the seductive aroma, while blue cheese does not overpower. It's really addictive! Best mop up with toasted bread provided. One particularly night, we had 3 serves amongst the 4 of us. Crazy? I think not. Of course, one does not leave Sid's without trying a pork burger (unless you can't eat pork, then they have beef, chicken and even a vegetarian option). I love adding egg and cheese. Nothing better than overflowing egg yolk, with the melted gooey cheese. You can also add the bacon but I think that would be a bit of an overkill for me. The pork patty is juicy and well seasoned. And the buns are fluffy and a perfect match for the savoury fillings. Always hits the spot. Came here for the first time and felt good about it. 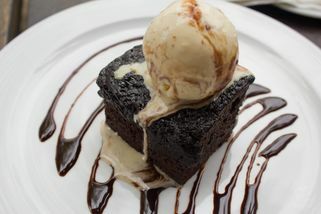 Love their Chocolate Brownie with Vanilla Ice Cream on top. 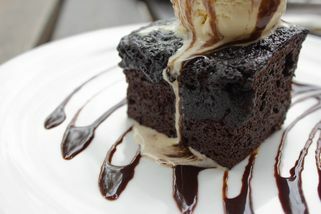 The brownie was really soft and creamy. Top it off with a delicious vanilla ice cream to compliment the taste of the chocolate can really make your heart goes awwww!.. Walked in the venue and I felt really welcomed. Everybody was so friendly and treated everyone like friends! As the tagline suggests, it is a best loved neighbourhood pub. It makes you will feel like you're in a safe ground, surrounded by friendly people and good food. Highly recommend to those who wants comfort, fun and delicious meals to go along.